Toe Juice Combo Pack Giveaway!!! I have teamed up with SaraLee's Deals Steals & Giveaways to offer you all this great giveaway! Let her know that Start Saving With Jennifer sent you over to enter and thanks for the opportunity! 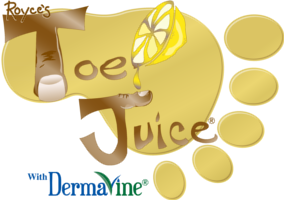 As Toe Juice® is a head to toe skin care product, we have received testimonials from people about its effectiveness for a large variety of uses. While this is no means meant to be an exhaustive list, below are the most common categories Toe Juice® is used for. Below is a list of some stores selling Toe Juice®. You can read a full review from SaraLee's Deals Steals & Giveaways here. Now for the giveaway: One lucky person will win a Toe Juice Combo Pack. This is open to the US & Canada only and ends 9/8 @ 11:59 pm est. To enter, simply do the tasks on the Rafflecopter widget below and you're set to have a chance to win! *Please note that Start Saving With Jennifer is not responsible for delivery of prize.